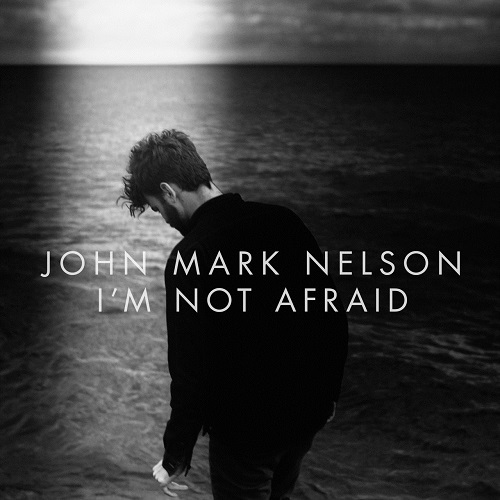 The past may be prologue, but for John Mark Nelson, the present is something else entirely: a gateway into a new era of life and the new sound that defines his upcoming album, I'm Not Afraid. Having released two critically lauded albums of melodic, lilting folk songs the ages of 17 and 19, Nelson, now 21, is set to take listeners on a leap forward into a new sonic landscape of propulsive rhythms and bright, complex instrumental arrangements. "It's impossible to progress through life without the outlets through which you experience life changing in tandem," he says of the shift. "In the past, what might have influenced me was a lot of acoustic instruments–folkier, jangly sounds. But I was pulled into the songs being driven by drums and bass and more adventurous guitar tones. It wasn't that I sat down and said 'I want to make a record that's a departure from what I've done.' It's just that as those things started coming through the speakers, I thought, 'I want to follow that.'" The smoldering warmth and haunting beauty of Nelson's voice strings a line of continuity from his past work into the new album, as does his astute, literary songwriting. But he confesses that even in his wise-beyond-his-years, autobiographical lyrics, the album marks a passage. "I think if anything, this project–maybe even more so than a sonic departure–is a vulnerability departure," he says. "In the past my writing has, in some ways, been guarded. Now I'm putting all my cards on the table." From the irresistible bounce and frustrated romance of the first single, "Dream Last Night," to the clap-along amble of "Broken" and the timeless, elegant sweep of "I Won't Win (If I Let You In)," I'm Not Afraid defies genre and demands attention. As a document of what Nelson calls "a very new, very different season of life," it positions him as one of the most exciting young songwriters and multi-instrumentalists of his generation.